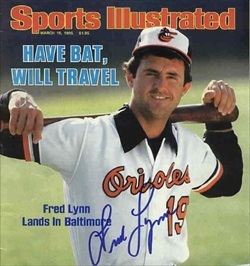 On June 30th, The Rod Dedeaux Foundation will be honored to be hosting eight time All-Star, 1975 Rookie of the Year and American League MVP, Fred Lynn at the annual Dedeaux Awards Dinner. The former outfielder for The USC Trojans, Boston Red Sox, Baltimore Orioles, and Los Angeles Angels will be present to watch The USA Baseball Golden Spikes Award be presented to the top amateur baseball player in the nation. Visit our website at http://dedeauxfoundation.org/ to see how we support at-risk youth through baseball and softball programs.